An agency watchdog blasted officials at the General Services Administration last week over “pervasive internal control weaknesses” across a variety of agency functions, raising questions about the agency proposed by the Trump administration to take over the core service functions of the Office of Personnel Management. In an annual report on management challenges facing GSA in the coming fiscal year, Inspector General Carol Ochoa highlighted a number of areas where the agency needs to improve, from agency-wide internal controls to cyber security and procurement. GSA also must improve its ability to recover costs and fill critical jobs, the IG wrote. Ochoa took the unusual step of publicly responding to GSA Administrator Emily Murphy’s agency response to the report. Although Ochoa acknowledged that the agency often has been responsive in reacting to findings from the inspector general’s office, she said GSA must develop a strategy to proactively address root causes of its management problems. “Unless GSA recognizes that internal control is not one event, but a series of actions that occur throughout an entity’s operation and thereby proactively considers establishing a comprehensive system of internal control, these issues will likely continue to exist,” she wrote. The inspector general also took issue with Murphy’s “misguided” contention that the IG's office should have raised the issue of internal controls throughout the year. 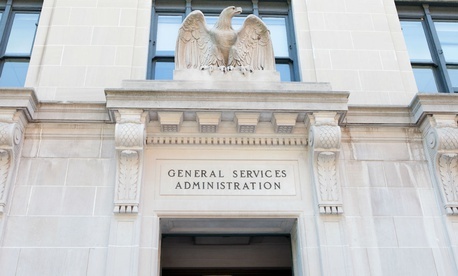 The inspector general also highlighted challenges associated with the first phase of the Trump administration’s plan to send most of OPM’s operating functions under the GSA umbrella: the HR Solutions fee for service program. By the end of March, GSA is expected to take control of the program and its more than 460 employees. Among the possible stumbling blocks facing GSA is the need to train all erstwhile OPM employees on GSA’s systems, laws and regulations. There are other logistical issues, and there is still the question of whether the merger can be done without congressional action. For observers, the report raises further questions about whether shifting OPM’s functions, particularly retirement processing and administration of the Federal Employees Health Benefits Program, to GSA is a wise policy decision. Klement said that the report could be seen as undercutting one of the key arguments for the merger: that GSA could find innovative solutions to longstanding deficiencies in how OPM administers its programs.